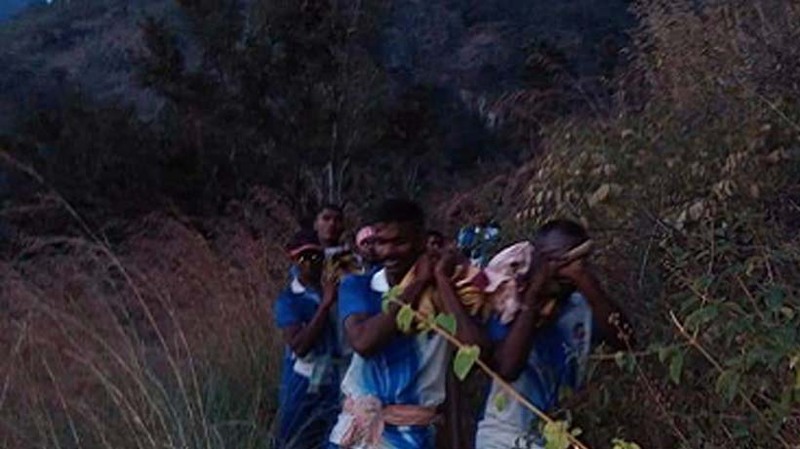 Nine people lost their lives and several were battling for life as an unofficial trek to Kurangani Hills in Theni district where an unexpected forest fire engulfed them. A group of young men and women of Chennai Trekking Club took out the wall as part of Women’s Day. Honorary wildlife warden for Nilgiris Sadiqali said, “The primary reason for the tragedy was the inexperience of the organisers who did not know how to handle calamities. Had they taken proper permission they would have been accompanied by a tracker and anti-poaching official to safeguard them for incidents of fire or threat from animals. The forest is completely dry after winter and chances of fire even if the branches of two tree brush each other was very high, the official said. The Government should not be blamed because an experienced person can identify an approaching fire easily since it can be smelt from a distance of as far as 8-10 km, said another official. Ram, a member of Chennai Trekking club who has himself trekked along the affected forest says, “We always take permission from the Divisional Forest Officer since papers signed by him needs to be shown at the check post. We carry it along with us always because forest rangers can also ask for it while we are inside the forest.” He added that the basic thumb rule of all the club’s trekking included a DFO permit while also mentioning that they chose not to take forest officials along because they had a “guide who was well-experienced in Himalayan trekking”. Rama Subramanian, Conservator of Forests, Coimbatore circle, said, “In Coimbatore there is no question of trekking. We also thoroughly check people for match box and other inflammable articles before allowing them into the forests. We always take precautionary steps to prevent such incidents by regularly conducting awareness among the public as well the tribal people living inside the forests”. However , while the forest officials, CM Edapaddi Palanisamy and Deputy CM O Paneerselvam have been speaking about illegal trekking, Theni Superintendent of Police, V Bhaskaran however stated that the trekkers had paid Rs 250 at the check post and was permitted to enter into the forest.